TRUST is committed to a continuum of Scholar training including the link between medical school and residency programs which are designed to nurture your interests in rural and other underserved careers. The following WWAMI network residency programs, including an expanding roster of rural training tracks, have created special opportunities for TRUST Scholars during medical school and residency. At most programs, Scholars who become residents will be able to continue working and training in their continuity community during each year of residency. Click on each program’s link to find out more about the individual residency programs and their curriculum for TRUST Scholars. We would encourage you to especially consider opportunities to meet the new required advanced outpatient care clerkships during your Exploration and Focus training. Tacoma Family Medicine is pleased to participate with the University of Washington (UW) in the Targeted Rural/Underserved Track (TRUST) Program. TFM has a long history of preparing residents for practice in both rural and urban underserved communities. We have a well established curriculum, a network of community rotation sites in multiple states, and a one year post-residency Rural Family Medicine Fellowship. This structure can easily integrate TRUST Scholars and their host community. This will provide an enhanced, integrated training experience. We want you to consider matching with us for residency or fellowship training. For more information please visit the Tacoma Family Medicine TRUST Website. 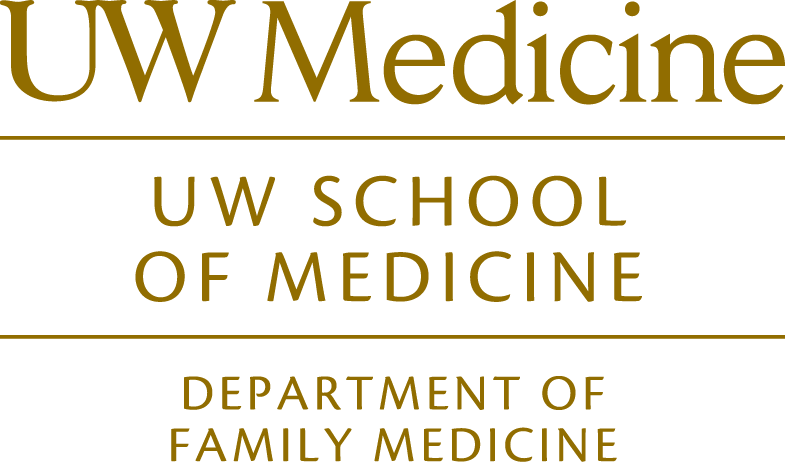 Providence Internal Medicine Residency Spokane (PIMRS) is pleased to participate with the University of Washington (UW) in the Targeted Rural/Underserved Track (TRUST) Program. We will happily and diligently work with TRUST Scholars (in the context of ACGME and Internal Medicine RRC requirements) to keep Scholars either connected with their host communities when possible or provide opportunities to establish connections to new communities in the Northwest of interest to Scholars. We are a smaller program that takes pride in creating a comfortable, fun, and rewarding learning environment while tailoring training to our residents’ career aspirations. For more information please visit the PIMRS UW TRUST Partnership Website. Providence Family Medicine Residency Spokane (PFMRS) is pleased to participate with the University of Washington (UW) in the Targeted Rural/Underserved Track (TRUST) Program. The Targeted Rural and Underserved Track (TRUST) seeks to provide a continuous connection between underserved communities, medical education, and health professionals in our region. This means a medical student with an interest in our region would have the opportunity to have an ongoing experience with a particular region and residency training program from the first year of medical school through residency. The end goal is to provide these communities with physicians when they are done with training. Additionally, students in this program may be able to match early with a desired residency program without going through the full match process. For more information please visit the Spokane Family Medicine TRUST Website. The Central Washington Family Medicine Residency Program (CWFMR) is a service of Community Health of Central Washington, a funded Teaching Health Center, provides a rich experience for students seeking opportunities for service to underserved populations. Students learn to provide community-based comprehensive and continuous ambulatory care to medically underserved patients representative of the cultural, socio-economic and demographic diversity of the Yakima Valley. The program provides full spectrum Family Medicine training including OB, integrated behavioral health, osteopathic manipulation medicine, procedural training and inpatient pediatric and adult medicine. CWFMR has been training the pluripotent stem cell physicians as well as students for service to underserved and rural populations since 1993 and is proud to partner with the UW’s Targeted Rural/Underserved Track (TRUST) program. For more information please visit the Central Washington Family Medicine Residency Program TRUST Website. The Central Washington Family Medicine Residency Program Ellensburg Rural Site (CWFMR-ERS), a service of Community Health of Central Washington, a funded Teaching Health Center, provides a rich experience for students seeking opportunities for service to rural and underserved populations. Students learn to provide community-based comprehensive and continuous ambulatory care to medically underserved patients representative of the cultural, socio-economic and demographic diversity of the Kittitas County. The program provides rural focused full spectrum Family Medicine training including OB, integrated behavioral health, osteopathic manipulation medicine, procedural training and inpatient pediatric and adult medicine. The core program (Central Washington Family Medicine Residency Program) is based in Yakima, a 40 minute drive away allowing a unique 3-year continuity experience in Ellensburg developing a continuity patient panel and becoming integrated into the community while taking advantage of the specialties in the larger city of Yakima. For more information please visit the Central Washington Family Medicine Residency Program Ellensburg Rural Site Website. Our residency is a high functioning Patient Centered Medical Home (PCMH), where you work with a tight knit team including family medicine faculty, medical assistants, a triage nurse, a nurse care navigator, a pharmacy doctor, a licensed clinical social worker, a physical therapist and patient service representatives to help care for an underserved rural population. We are a certified Patient Centered Medical Home Level III NCQA clinic. We practice full scope family medicine, including OB while helping the most vulnerable patients in our county. For more information please visit the St Peter Family Medicine Chehalis Rural Training Program Website. 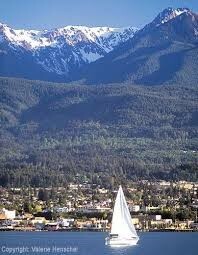 North Olympic Healthcare Network (NOHN) is pleased host the University of Washington (UW) in the Targeted Rural/Underserved Track (TRUST) Program and Swedish Cherry Hill Port Angeles Rural residency. NOHN has been helping to prepare medical students for practice in rural underserved areas since 2010. We offer an appropriate mix of ambulatory and hospital experience at Clallam County’s first and only Federally Qualified Health Center and Olympic Medical Center (OMC). Learning experiences emphasize the rural physician’s responsibilities and roles of diagnosing, treating, and managing health problems on a longitudinal, continuing basis. Our goal is to train physicians for rural communities and increase the physician workforce in communities with inadequate primary care access.